A Hillsborough victim might have died after being left lying on his back on the pitch, pathologists told the inquests. 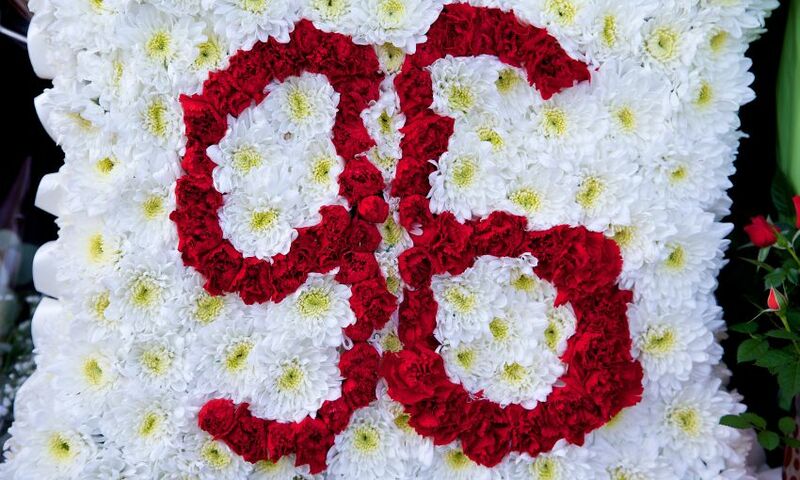 The court heard medical and pathology evidence about five more of the 96 Liverpool fans who died after the disaster at the FA Cup semi-final on April 15, 1989. Medical expert Professor Jerry Nolan said he thought dad-of-one Michael Kelly, originally from Old Swan, was alive in photos taken of the crowd in the pens between 3.06pm and 3.08pm. Pete Weatherby QC, representing some of Michael's family, said in the last photo Michael appeared to be looking up at someone who was climbing on the fence. Prof Nolan said: "I agree with that. And I do think it is, of course, highly probable that he is looking up and that he is alive in that image." But footage from 3.27pm showed Michael lying on his back, apparently unattended, on the pitch until he was placed on a hoarding at 3.32pm. There was evidence that Michael was given CPR after being carried to the area outside the gym and was then taken inside and confirmed dead at 3.59pm. Forensic pathologist Dr Nat Cary said Michael's post-mortem recorded only mild signs of asphyxia. He said: "From the point of view of the pathology, I think there is a very real possibility that this man may have succumbed to complications of unconsciousness rather than primary cardiac arrest in the crush." He adds: "So if he was left unconscious but he was left on his back unconscious, as has been described in some detail, he would be at risk of going into respiratory arrest and then cardiac arrest and that possibility simply can't be excluded on the evidence." The post-mortem also recorded bruises on Michael's arms and legs which were consistent with him being gripped. Dr Cary said there would have been a range of possibilities for the bruises but they could be consistent with him being carried while unconscious. Bruises were also recorded in a post-mortem for 29-year-old Martin Wild, from Derbyshire. The report said there was linear bruising to his armpits. Professor Guy Rutty, a forensic pathologist, said: "I think he is describing a straight line, depressed bruise to both armpits at the point where the armpit joins the front of the chest." He said that would be consistent with someone gripping Martin under the arms, or dragging him, and would have to have been sustained while he still had a circulation. He said: "It could be a supporting in the crowd, it could be a lifting of the body from the floor, or it could be a dragging as well." The court heard Martin was carried out of the back of the pen and there was evidence he was given CPR. But medical expert Dr Jasmeet Soar said he did not have details about the duration or quality of the treatment and could not be certain about Martin's condition before he was confirmed dead at 4.35pm. Dr Soar was also asked questions about Roy Hamilton, a 33-year-old British Rail worker from Waterloo, but the court heard there was little evidence for him to base an opinion on. Footage at 3.17pm showed the back of Roy's jacket among a pile of casualties at the front of pen three. Dr Soar said: "It does appear to be moving, but from the clip, it could be that someone else is moving him. "So there is not a lot I can say more about that." The next evidence about Roy was from police officer Tony Cowgill who saw him in the gymnasium at 4pm. He was confirmed dead at 4.08pm. Christina Lambert QC, counsel to the inquests, said: "So really, very sadly, little of real relevance is known about Roy's experience during the crush or after the crush." The court heard evidence about Peter Thompson, 30, from Widnes, being given CPR after being carried out of the back of the pens, but was told witnesses were unsure about whether the casualty they had treated was Peter. Prof Nolan said: "I am not clear in my mind whether we can be certain that it was Peter that was being described." He said he could be clear in his mind that Peter was unconscious when he was carried from the pen, but could not say any more about his condition. Pathologists said all of the victims discussed died of compression asphyxia. 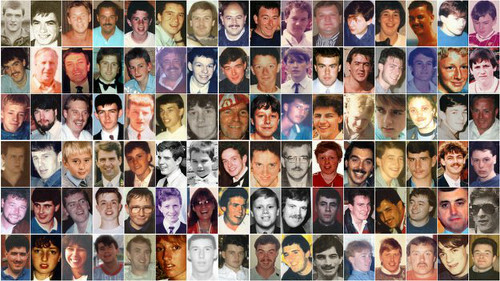 The Hillsborough inquests heard there was a lack of evidence of a "good assessment" of a 21-year-old victim. The court heard Carl Rimmer, from Stockbridge Village, was treated on the pitch by police constable Peter England. Mr England said he and a firefighter were involved in trying to resuscitate Carl and he thought he would have checked him for signs of life. But after there was no response he covered him with his anorak and Carl was carried to the gymnasium and confirmed dead at 3.52pm. Medical expert Professor Jerry Nolan said footage of Carl in a pile of casualties on the terrace at 3.19pm showed he was unconscious. He said: "When Mr England interacts with him on the pitch, I am confident in saying he was unconscious, but the lack of good evidence for assessment, although there was a possible short period of resuscitation, it was only a matter of minutes, I am not confident in saying any more than that." He said Carl died some time between 2.57pm and 3.52pm.